The Governor of Osun State, Ogbeni Rauf Aregbesola has disclosed that the state has identified 60 million active cocoa trees, reports NaijaAgroNet. He made disclosure at a meeting with Cocoa Produce Merchants in the state at the Government House Banquet Hall in Osogbo at the weekend, assuring that his administration endeavour to make the state great again, hence the recent investment and research into Cocoa production among other areas of agriculture. For the state to start on reproducing 'Cocoa Omoluabi', Aregbesola said, the state has enumerated and identified 60m active cocoa trees in the state, there will be a new cash inflow making the economy of the state prosperous. Osun in furtherance to boost agriculture signed a Memorandum of Understanding (MoU) with the International Institute of Tropical Agriculture (IITA) to develop agriculture and massive food production as alternative to reliance on oil sector. IITA, he pointed out, will also carry out cassava, plantain and other crops multiplication including Cocoa as well as train the youths in the state in modern, commercial and profitable farming. 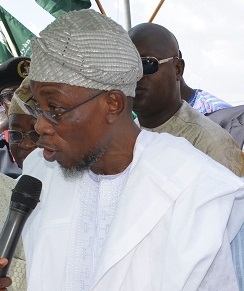 Aregbesola emphasised that the state in her bid to increase Internally Generated Revenue in Osun, will establish commodity board to directly supervised by the office of the governor to ensure that Osun ranks among the best cocoa producers in Nigeria within the next two years. Earlier, Chairman of All Farmers Association of Osun, Chief Raheem Adeniji said that the association is ready to partner and cooperate with government in her bid to revamp the cocoa farming in the state. He lamented poor economic state of the country attributing it to neglect of cocoa which was the backbone of the economy in the 60s, identifying the cancellation of Cocoa and marketing Board by the then military government as a setback for the industry in Nigeria.